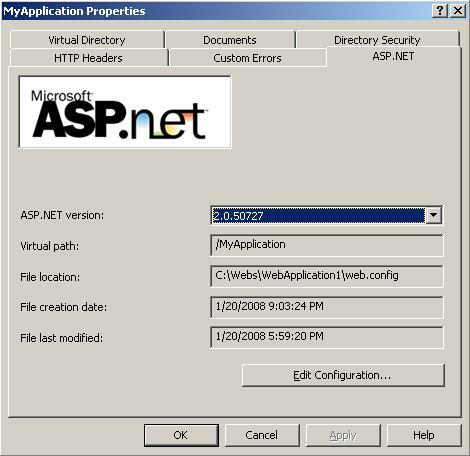 The objective of this tutorial is to show the steps that have to be followed in order to set up an already created ASP.NET web site with IIS 5.0/6.0 web server. 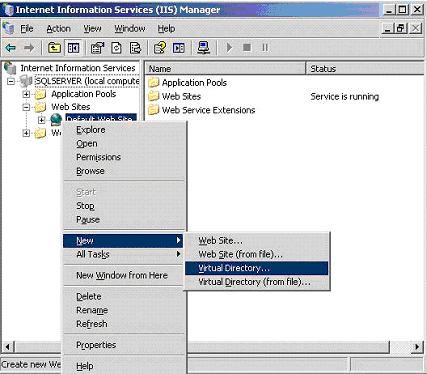 In order to proceed forward it is important to understand how ASP.NET applications work with IIS. First of all IIS is a web server, a software that accepts and responds to requests using HTTP (Hypertext Transport Protocol) protocol. 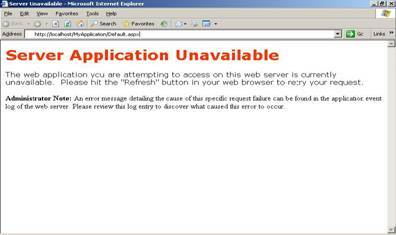 The result of the respond is an ordinary HTML page, so we can say that the purpose of the web server (IIS) is to provide HTML pages. 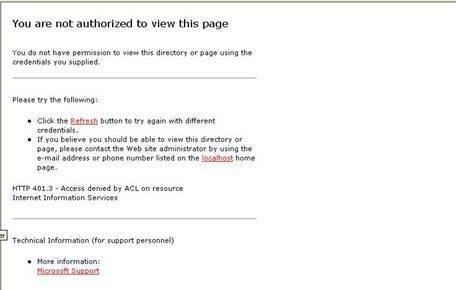 When a user wants to see such a HTML page, he sends a request to the web server. The web server receives the requests and related to this it reads a file from its hard drive and sends the result content to the browser. From this point of view you can say that the web servers have the same functionality as the file servers have, waiting for network requests and sending to the browser the appropriate HTML pages. Because ASP.NET applications suppose dynamic content, the request-response process is a more complex one. 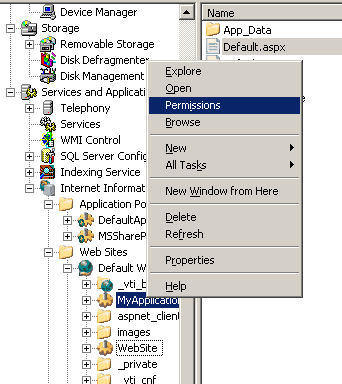 ASP.NET applications are made of ASP.NET tags and C# or VB.NET code. 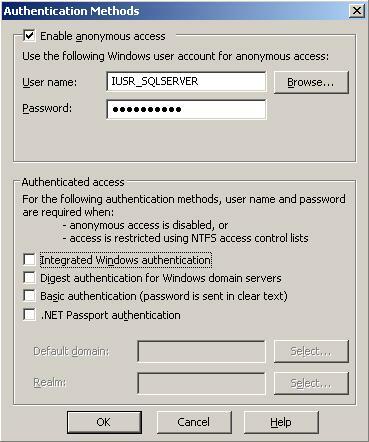 When the web server receives a request for an ASP.NET web page it doesn't know how to process the data from that web page. This is why it has a list with all the responsible engines for the related web pages. So, the next pass would be to pass the request to the appropriate engine in order to process it. 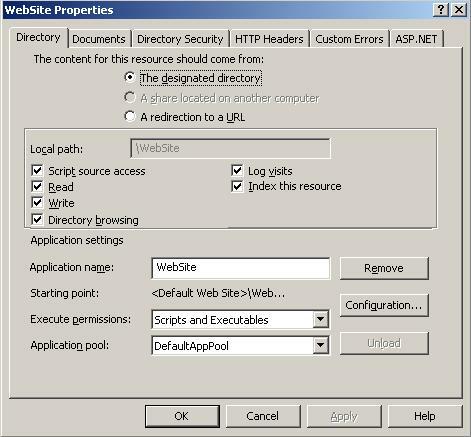 Figure 1 presents this process for ASP.NET and ASP web pages. When IIS receives a request for an ASP.NET web page it passes this request to the ASP.NET engine. 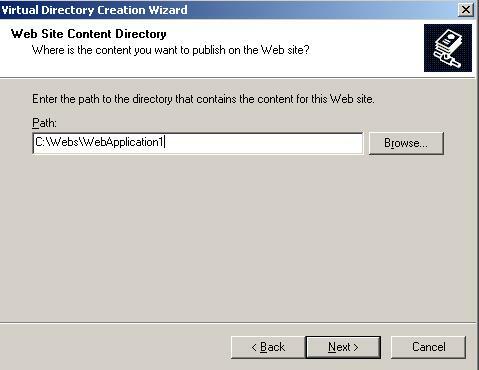 This engine processes the appropriate web page and returns the HTML content to IIS. In the final step, the IIS has the honor to return the HTML document to the client. As a note: Because web applications are usually hosted on Windows Server 2003, in the next steps I will use the IIS 6.0 to show you this process.